THINKING ABOUT GOING TO A CDL DRIVING SCHOOL? Thinking about going to a truck driving school? Don't waste your time & money on expensive truck driving schools that promise you a job after going through their school & leaves you still unemployed owing a big loan to pay back for training you. Most schools make you think you are going to make the big bucks in the big truck but leave you making minimum wage. Why go to a school for 4 - 8 weeks? CDL schools range from $4000 to $8000 and can take up to 4 - 8 weeks to complete. CDL schools are only in business to make money. They could care less about your career. Once they get your federal funded loan they are pretty much done with you & hope you don't show up for class. Whether you show up or not you’re still financially responsible for the loan you signed for. With our proven program you can do it yourself within 3 to 5 days without the hassle of a classroom & without paying a large loan back! 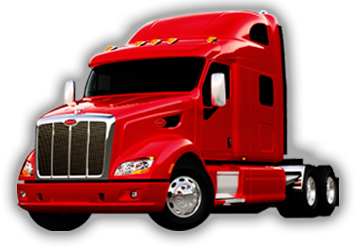 With our program you can get your CDL quick and for less than $500.00.